Millions of Tumblr users share videos, stories, and photos on Tumblr on a daily basis. Given that a lot of people are sharing their updates on the feed every minute, interesting videos can quickly roll down the feed and get out of your sight. This is the reason as to why people who use iPhone wonder whether it is possible to save these videos on their device for future reference. One thing to note about Tumblr is that it does not include an inbuilt way that can allow its users to download videos on iPhone. However, don’t worry, in this article, we will be guiding you on how to save/download videos from Tumblr to iPhone. Step #1: Choose the video you wish to download on Tumblr. Step #2: Copy the URL for the video. Step #3: Open a new tab and then visit http://www.dredown.com/tumblr. Paste the video URL you copied in Step #2 above in the text box and click the DreDown button. Step #4: The Video will be downloaded and saved to your Computer in MP4 format. You can either enjoy watching your video on your computer or you can easily use iTunes to import the video to your iPhone. Step #1: Open Cydia on your iPhone and go to the BigBoss repository. Step #2: Search for Dwnldr and then purchase it. Step #3: Install Dwnldr and then Restart your Device. Step #4: Launch your Tumblr application and then select a video you would like to download and save. Step #5: Tap the selected video and keep holding it. You should see a popup that offers you two choices: Dwnldr video vault or Save Videos on your iPhone Camera Roll. Step #6: Choose the Camera Roll option and your video will be downloaded and saved to your iPhone camera roll where you can find it later. Step #1: Tap the screen recorder icon. If you are using iPhone X, you can locate the screen recorder control center by swiping your finger down starting at the top-right corner of your screen. If you are using an iPhone 8 or earlier, scroll up using your finger on the home or lock screen. Step #2: The screen recorder should start recording in 3 seconds. This gives you the time to start the video you wish to record. Make sure that you play your video in full-screen mode. This will allow you to save it in HD quality. Avoid turning on other sounds since these will also get recorded by the screen recorder together with the Tumblr video sounds. Your voice and other external sounds will not get recorded if you don’t use an external microphone or Apple earpiece. 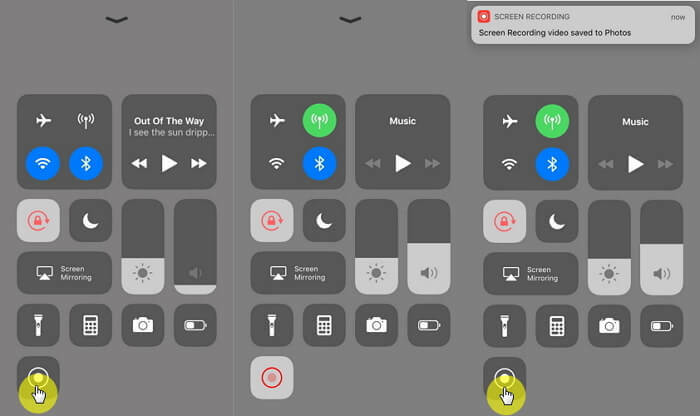 To stop the screen recording, tap on the red button that shows recording time on the top left of your screen and then confirm on the popup that appears. Step #3: Edit your video. After recording, you can edit your video. For example, you may want to trim unused video portion. To edit your video, locate your recorded video in Cameral roll and then tap on Edit. Extra Tip: How to Save Tumblr Videos on MacBook Pro/Air? 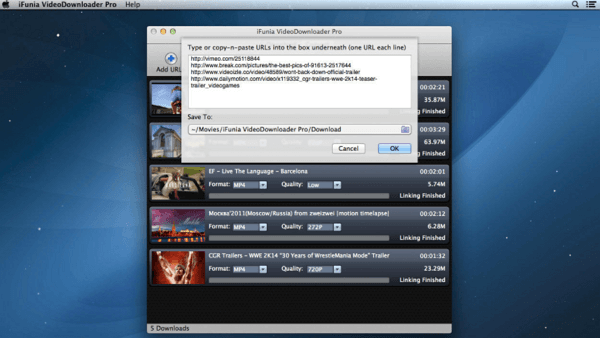 A popular and free software you can use is the iFunia Video Downloader. Therefore, download and install it before proceeding. Follow the steps below to download Tumblr videos using iFunia Video Downloader. Step #1: Run the software. Step #2: Locate the video you would like to download on Tumblr. Click share icon and then the permalink option. You will get redirected to a new Tumblr page. Copy the URL for the page and go to your iFunia video downloader. The URL gets automatically pasted in iFunia URL box. You can copy and paste more URLs for bulk download. Step #3: Select the format and preferred video quality. By clicking the arrow down icon, you will start the download. Although Tumblr does not include an option that allows users to download and save their favorite videos to iPhone, it is still something you can do. In this article, you will find various methods telling you how to save/download videos from Tumblr to iPhone. The methods are both safe and have been proven to work. Don’t let your favorite video get lost down Tumblr timeline. Download it and save it instead.